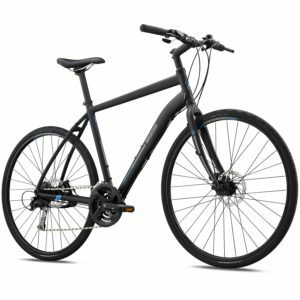 Whether you want to go fast or just cruise, we have a great selection of city bikes, fitness bikes, tandems, kids bikes, trailers, and tagalongs. dependent upon the season and special events. where to ride to enjoy Portland, Oregon. Lights and flat repair kits available upon request. 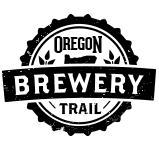 Call (503) 243-2453 to check for available rentals. Breezer Downtown bikes have a 7-speed internal hub for easy shifting. They have comfortable seats and are designed for an upright riding position. 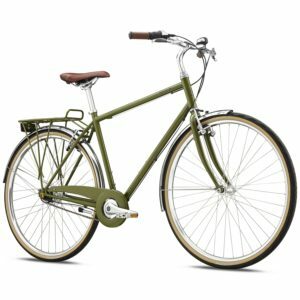 Breezer Liberty bikes have 24 speeds and handle like a road bike while still maintaining the comfort of a city bike. 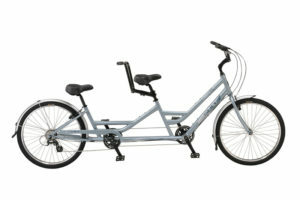 Why rent two bikes when you can double your fun with one bike? 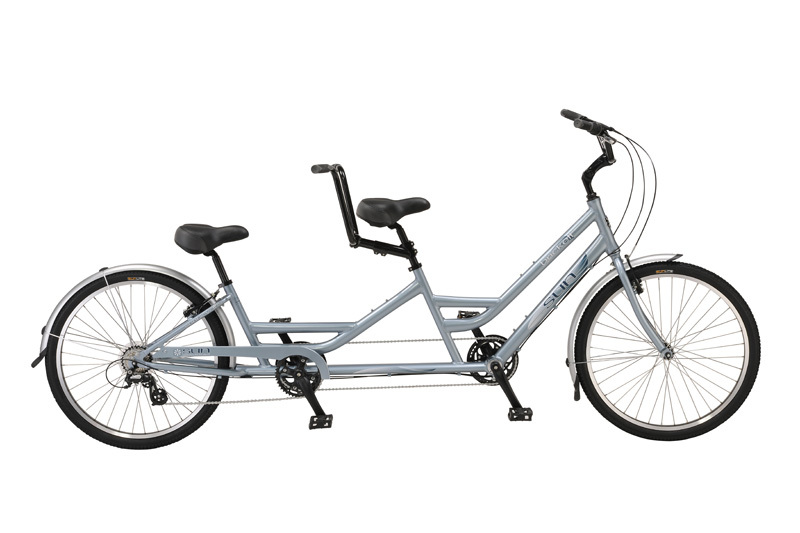 Our tandems are perfect for that first date or that 1,000th date. The Jamis Laser 20 is the perfect bike for kids just learning how to ride. The Jamis X-24 is small but has 24″ wheels, which help the wee ones to keep up on those longer family outings. 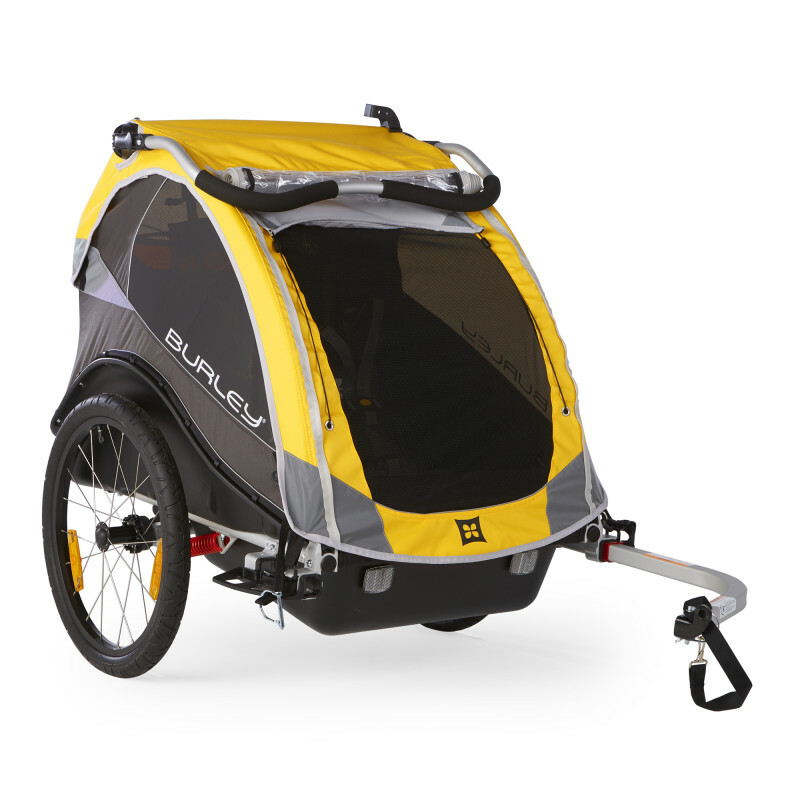 Our Burley Trailers are the perfect option for carrying small children and furry friends. Front suitable for riders with inseam of 29″ to 35.5″, rear suitable for riders with inseam of 26″ to 32″, max combined weight 400lbs. 20″ wheels. Our smallest bike suitable for those just starting to ride. 24″ wheels. A bike sized just below the smallest adult bikes. A one wheeled attachment to an adult bike that allows children to pedal but not steer. This is the perfect carrier for very small children or even furry friends. Kids pedal along, making effortless exploration. Safe, interactive, easy to install and all terrain! 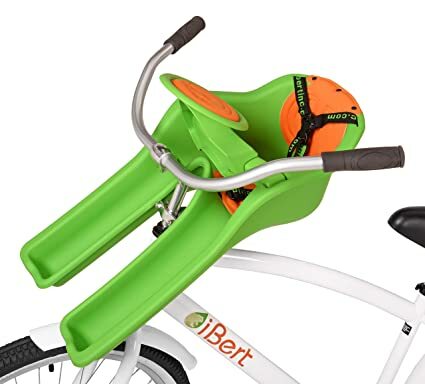 This green seat sits solidly on the handlebars so kids have a front seat ride with their very own play steering wheel. The iBert is best for children between 1 and 3 years old. A wrap-around seat structure creates a virtual cocoon of protection and features an shoulder harness with a multiple height adjustment system. A suspension system cushions bumps and jolts and the roll bar provides extra head protection and doubles as a carrying handle. Adjustable footrests and straps keep small feet away from spinning wheels. Best for children between 1 and 3 years old. In addition to helmets and locks, by request we will provide the following free of charge; Maps, An emergency kit, Patch kit, and Lights for night riding.